In Jainism, Tirthankara means spiritual teacher, The first tirthankara in Jainism was Rishabhanatha and Lord Mahavira was the last Jain Tirthankara. 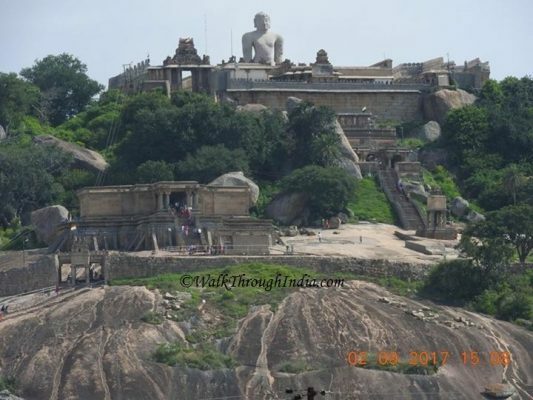 The tallest tallest Jain statue in the world is located in Mangi Tungi and Sravanabelagola. 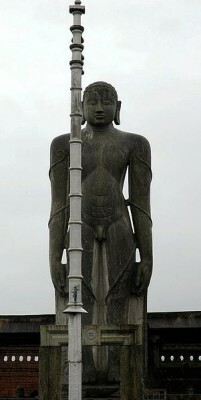 The Statue of Ahimsa is the tallest Jain statue in the World that belongs to first Jain Tirthankara, Rishabhanatha. The 108 feet tall statue has been carved out of the Mangi-Tungi hills near Nashik. Gommateshwara Statue at Shravanbelagola is very ancient Jain centre, located on Vindyagiri hill. The 57 feet tall statue of Gommateshwara is one of the 5 monolithic Gommateshwara statues in Karnataka. Gommateshwara at Karkala, Gommateshwara at Dharmasthala, Gommateshwara at Venur and Gommatagiri are being other four. Bawangaja in the Barwani district of Madhya Pradesh is a famous Jain pilgrim center and has the statue of of Lord Adinatha. Rishabhanatha or Adinatha megalithic 84 ft statue is situated in the middle of Satpura range. Mahavira was the last Jain Tirthankara who travelled throughout the Indian subcontinent. 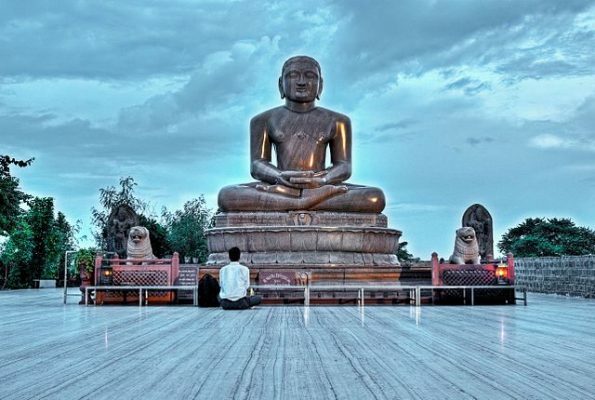 Ahinsa Sthal in Mehrauli of Delhi is home to 13 feet 6 inches tall statue of Lord Mahavira carved out of a granite rock. Vahelna Jain Mandir or Parshvnath Digamber Jain Atishye Chetra situated on the outskirts of Muzaffarnagar. The land of Vahelna has 31 feet Moolnayak Bhagwan Parshvnath statue, twenty third Tirthankara of Jainism. Bada Gaon is a village in the district of Bagpat and famous idol of Lord Parshvanath temple and 31 feet tall statue of Rishabhdev. Munisuvrata was the twentieth Tirthankara of Jain and famous Shri 1008 Shantinath Digambar Jain Mandir is located in Indapur, Pune. Shantinath Jain Mandir now called as Golden Temple has tha tallest statue of Munisuvrata. Navagraha Jain Temple at Varur near Hubli is the major pilgrim spots for the Jain community in South India. The temple has tallest monolithic statue of the Bhagavan Parshvanatha in India and smaller statues of the other 8 Jain teerthankaras. The 42 feet tall statue of Bahubali at Karkala is one of the major junction for the religious Jain tourists. Gommateshwara statue at Karkala is one of the largest free standing statues in India. The Statue of Vasupujya at Champapur is one of the tallest statue in eastern India. The 31 ft tall statue of Vasupujya is tallest in statue of Vasupujya in India. Gopachal Hills in Gwalior has unique groups of ancient Jain caves,idols and statues. The site has 58 feet 4 inches high idol of Rishabhanatha and 35 feet high statue of Suparshvanatha. Shri Mahaveer Ji temple in Karauli district of Rajasthan is the famous Jain pilgrimage site. The temple has imposing 32 ft high image of Lord Shantinath at Shantinath Jinalaya, the 16th Jain tirthankar.